The farmer groups record details of each farmer, no. of trees, coffee produced, quality, and qty sold. This record is kept by each coffee farmer groups, the coffee authority, the exporter and Village Coffee. This record is for transparent benefit flow to grower and record for paying bonus ($3/kg roasted weight) back to grower. 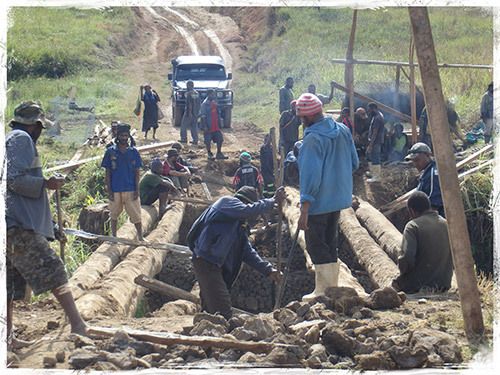 Its aims are to improve financial benefits from the coffee market to PNG and to its people (as outlined below). 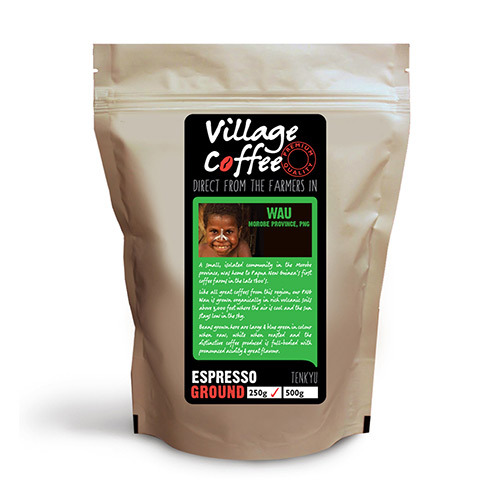 Village Coffee will promote its coffee largely through established networks (such as churches, schools, sporting facilities and health food chains) that support equitable trade and organic products. Village Coffee hopes to spread its message of fairness and value for efforts to coffee lovers all over the country. Advertising and repeat sales will be managed through website marketing, radio and network newsletters. 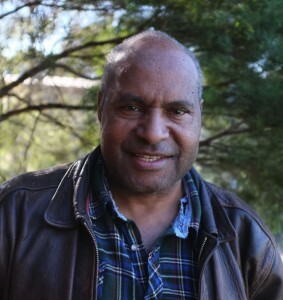 Village Coffee is owned and managed by Mr Pana Wiya, a PNG national living in Sydney, Australia. Seeing the prices coffee is sold here and knowing the prices my people really receive into their pockets for their efforts, it is seen as an unfair system. This has prompt me to start up Village Coffee in order to help improve their income to give a better, more fairer return for their hard work. 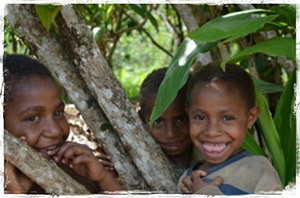 It is also of note that the farmer in the village uses his/her most fertile ground to grow this coffee. 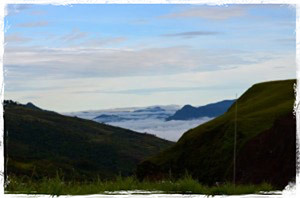 I grew up in the highlands of PNG where coffee is grown, where the soil is rich and fertile, where the climate is the best for coffee growing. 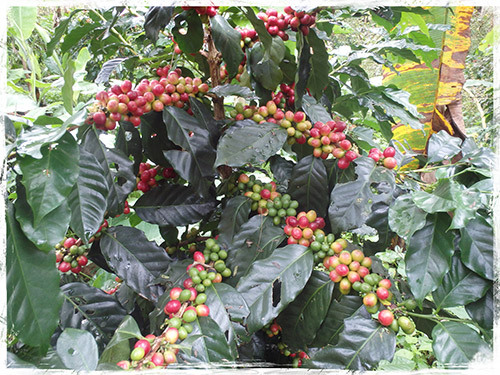 I grew up growing coffee that was introduced from the blue mountain Jamacian origin. This became our source of a small cash income for the family. This cash was used for buying imports such as food, clothing, other necessities and school fees. 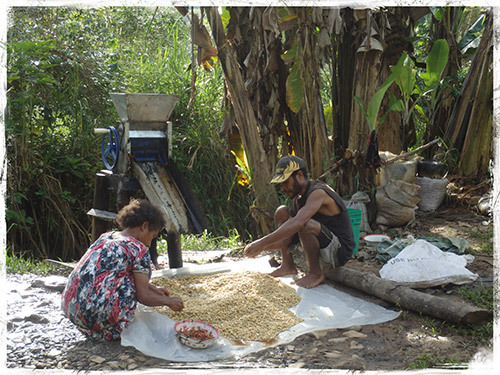 The family still grow plots of coffee today and this is the norm for many. The struggle to keep up with the ever increasing prices of goods is beyond what these farmers can cope with. Village Coffee therefore seeks to provide assistance by selling their coffee and giving a better return for their coffee. Friends in other words I’m fighting against greed and unfairness. I believe there is plenty for all to share but that is not the reality. Life seems to be about “me” and “me”. I hope to break out in a small way with this coffee project to enable others in hopeless situations to give a little more hope, a sense of pride, a sense of recognition for effort. 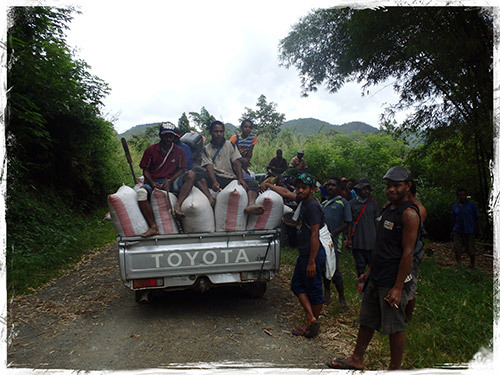 If you are interested in distributing Village Coffee, please contact us.